It's not just kids that enjoy playing games. We all need a little distraction every now and then. Games are not only a release, they can test our reactions, our logical thinking and our imaginations. Now that we can play games online, more and more people are getting involved. Whether it's a five-minute distraction during lunch hour or an afternoon playing a complicated strategy, the growth in game playing has been astronomical in the past decade. According to Ofcom's recent report 'The Communications Market 2010', 39% of Internet users in the UK now play online games. This makes it the most popular form of media consumption in the country. This in an increase of 1% on the same time last year, which pushes gaming ahead of film and music downloads. Overall, the British public spends nine hours a day using media in some form, from watching TV in the evening to using the internet at work and playing a game via the web from their smartphone on the way home from the office. It seems we need to stay connected to the wider world in any shape or form. There are now vast numbers of websites that are dedicated to online gaming, but as the market explodes, other sites, not traditionally gaming sites, are adding gaming sections, particularly the large social networking sites like Facebook. Even advertising is using games as a way to draw customers in to a particular product or service. Earlier this year Google celebrated the 30th anniversary of Pac-Man, one of the most popular and addictive games of all time. The search engine had a 'Google doodle' allowing users to play for free as many times as they liked, steering their icon around a Google shaped maze. There are so many different types of games to choose from these days. You can play traditional arcade games online from the comfort of your lounge or office chair during your lunch break. Many sites offer the classics such as Space Invaders, Donkey Kong and the Prince of Persia. There are skill games too that test your memory, coordination, reactions and logical thinking. But there are just as many games that are designed purely for fun. If you're good at them you can even gamble a little. 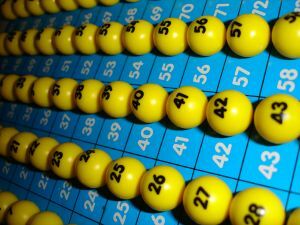 For example, 32 Red offer online bingo with regular monthly offers and £10 worth of free credit when you sign up.